The Mary Pickford cocktail is named for the silent movie actress of a bygone era. 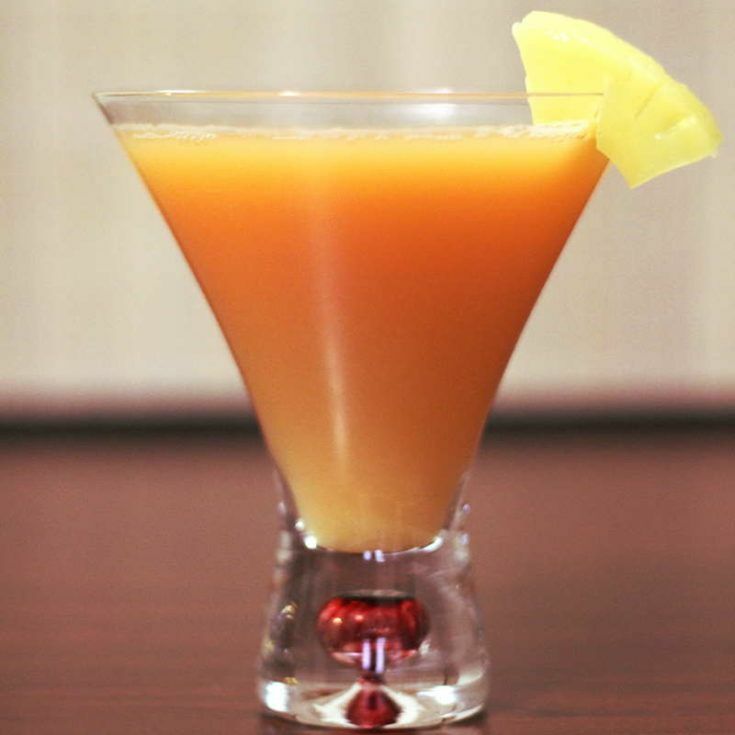 It blends pineapple juice with rum, grenadine, and maraschino liqueur for a sweet, fruity treat. In the 1920s, Charlie Chaplin, Douglas Fairbanks, and Mary Pickford formed United Artists and built a beautiful skyscraper for their headquarters in Los Angeles (now the Ace Hotel). Many years later, as the building was being remodeled for new owners, I got to tour it. The once glorious and now run-down theater. The marble staircases and Spanish gothic decor. And then I was led into a strange, creepy little room below the theater. It was windowless and all black – walls, ceiling, and floor. No one knew what the room’s purpose had been, but they knew it had been for Mary Pickford. Unable to let the mystery go, I did some research. I discovered it had been her private screening room, and now the pitch darkness of the room made sense. Anyway, that’s my little story to do with Mary Pickford, a woman ahead of her time. And this cocktail is appropriate for her. Like its namesake, The Mary Pickford cocktail sneaks up on you. It’s so smooth and sweet, you don’t realize what a kick it’s got until it’s too late. Instead of your typical rum-pineapple-coconut flavors (Pina Colada, Blue Hawaiian), the Mary Pickford swaps coconut for cherry. 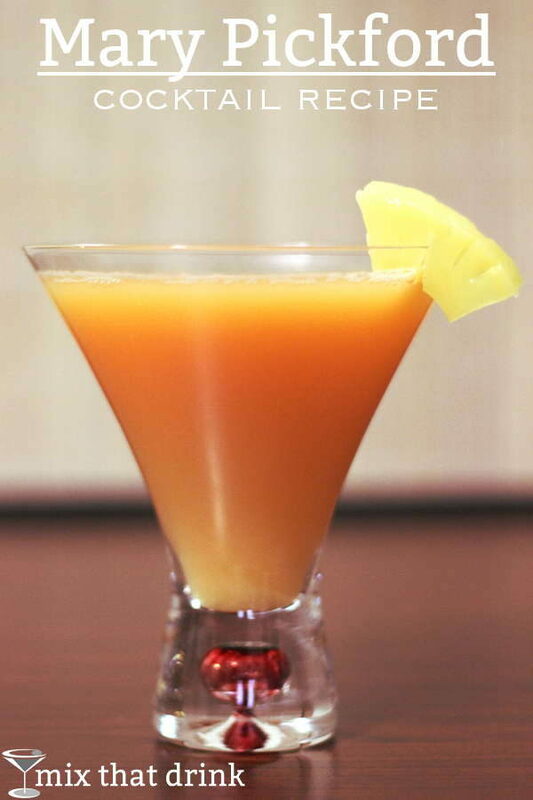 This is a great drink for an evening pick-me-up between dinner and a night out. The Mary Pickford is a sweet, fruity cocktail, but it's got a kick. It blends rum with pineapple juice, grenadine and maraschino liqueur. It's a little bit tropical, but it also has definite hints of cherry. Strain the mixture into a martini glass. Garnish with a pineapple wedge or maraschino cherry. I tried this with some friends last night and we all loved it. New favorite for girls night in.